A network topology is the organization of networking devices of a computer on a geographical basis. 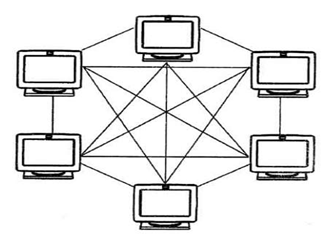 In essence, the different points/nodes in which various computers are connected or link together constitutes a topology. Several computers are being connected to a certain link. There exist more than one link and they form a topology. A network topology chosen is done under several considerations because it influences the media that is used and the method of accessing. The factors to be considered include the cost of the network topology chosen, the ease of installation and troubleshooting, the reliability of the topology and its scalability. The bus topology is the topology that has one trunk that is being shared by all the network nodes. In addition, it has terminator whose role is to absorb the signal as it is reaching the end of the line. The absence of terminator will cause network errors since the signals will bounce back on reaching the end of the copper wire. Bus topology allows the communication message to travel along it in both directions as long as it has not been picked by a server NIC. So the message would travel until it is picked. In the case where the message is not picked, it will dissipate at the terminator after reaching the end of the cable. 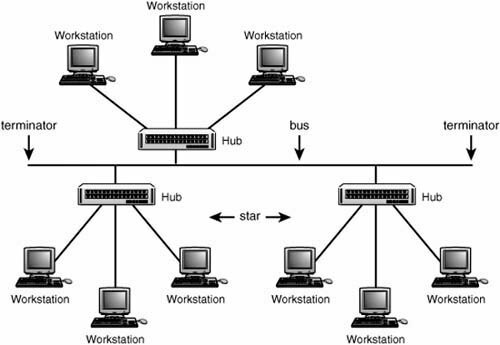 A multipoint connection is a requirement for bus topology. This is a feature that makes the bus topology different from other topologies. Another feature making the bus topology to be different from other topologies is that there is equal access to the trunk by all the nodes which are made possible by the use of T-connections or the drop short cables. Further, the expansion of the trunk length and the number of devices that can be made easily in bus topology makes the topology different from others. Bus topologies could be the best choice of topology for an organization since it does not require much media as compared to other topologies and the nodes are independent such that when one of them fails, the other nodes still work. Thus, an organization that needs a steady data flow with minimal disturbance due to failures would require this kind of topology. Also, installation of bus topology and the expansion is easier. So, it is the best choice for organizations that are still growing since there is room for expansion and cost is less since only one main cable is required to make computer connections. This topology is a link in a circle that contains the point-to-point links. The connection of every device is either direct connection to the ring or indirect connection through the interface device. The communication message is moving from one node to the other in a coordinated manner whereby it is checked by each workstation to determine if the destination address matches. The matching address makes the node accept the message and reply to the sender but if the address does not match, then the message is regenerated by the node and sent on its way(Rendell, n.d.). Ring topology is different from other topologies because it does not have the beginning or the end which require being terminated. Another feature of ring topology that makes it different is that all the devices incorporate repeaters which are responsible for generating bits and passing them along when devices receive unintended signals. In addition, as mentioned earlier, the nodes in the ring topology are connected in a circular manner and therefore data flows in a circle as they move from station to station. 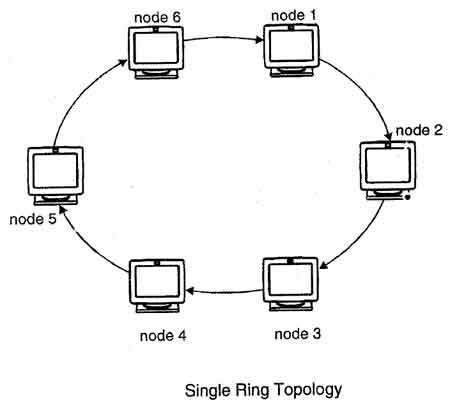 The kinds of ring topologies are single and dual ring topologies. Ring topology could be the best choice for an organization to use if it needs to carry out troubleshooting most of the times. This is because it is very easy to troubleshoot ring topologies due to the fact that the devices incorporate repeaters. 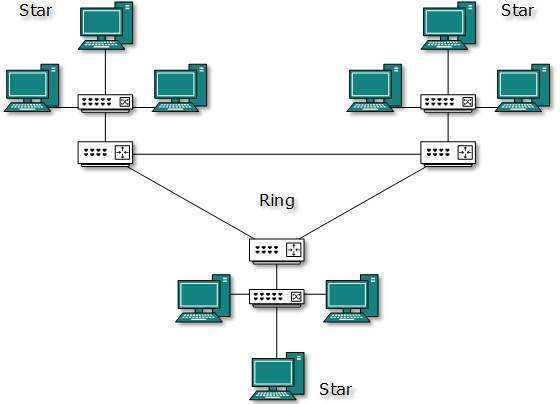 In addition, for an organization to identify troubled workstation quickly, ring topology would be the best choice because it has an importance feature known as the beaconing that allows for that activity("What is Network Topology? ", 2016). Ring topology could also be the best choice for an organization because there are no collisions in the network and the data is moving faster along the network. So, if an organization requires fast data sharing, then the best choice of a network topology is the ring topology. This topology uses has a central controlling hub where dedicated legs are connected to it and face all the directions. 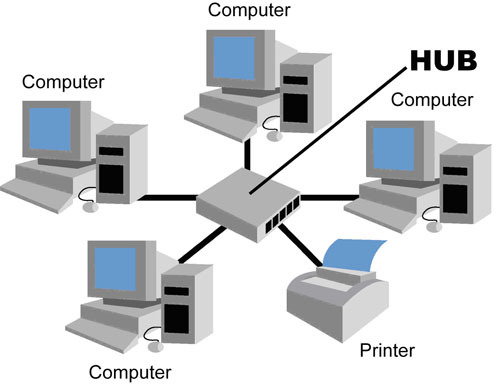 The computers can only communicate among themselves by using the central hub and therefore there is no direct link between these computers. This feature makes the topology different from others. The advantage of this strategy is that the collisions of the communication lines are prevented and they are made to be open and free of traffic("What is Network Topology? ", 2016). Communication is done centrally in this topology whereby a logical path is created between the communicating computers. Star topology can also be the best choice of a network topology for an organization that is expanding because it allow for the addition of more nodes and the addition cannot slow down the communication and there is no fear of delay. It is a topology whose nodes have dedicated points. Therefore, there are several paths in between every two nodes hence no path is affected by the failure of one path. The dedicated links in the star topology make it different from other topologies and also make it be the best choice for an organization since it ensures the security and privacy of data. This is a hierarchical topology that has a central root node which is at the highest level of the hierarchy and it is connected to the nodes available which are in the lower levels. The hierarchical nature of this topology is what makes it unique and to be the best choice for an organization for the purpose of isolation and prioritizing communications from various computers("What is Network Topology? ", 2016). It is a topology which made up of one or more network interconnections such as the star-bus topology and the star-ring topology. The choice of this topology is based on the individual topologies interconnected. Small organizations require a topology with less cost which is possibly the bus topology as mentioned earlier. In addition, the topology should give room for expansion such that addition of nodes will not delay communication, in which case star topology is appropriate. Large organizations, on the other hand, would require topologies that can allow communication isolation and prioritization. In this case, tree topology is the most appropriate. We offer Network Topologies assignment help, Network Topologies assignment writing help, assessments writing service, Network Topologies tutors support, step by step solutions to Network Topologies problems, Network Topologies answers, Computer Science assignment experts help online. Our Computer Science assignment help service is most popular and browsed all over the world for each grade level.